I received this book as a Christmas present in 2016. Wilcock writes with a view to showing how all events in our lives and history reflect a coherent pattern, with key factors coming together at key times in various places among unconnected persons. He writes eclectically in a New Age style, attempting to filling gaps between different popular and scientific sources of knowledge and between different historical civilizations and technologies. He presents some interesting and informative facts and concepts and presents challenging considerations. It was an interesting read. I am familiar with other works along this line by Wilcock, and find him an engaging, readable writer. He sometimes weeps past problems or what possible objections to his sweeping theories and conclusions, but presents much for thought. 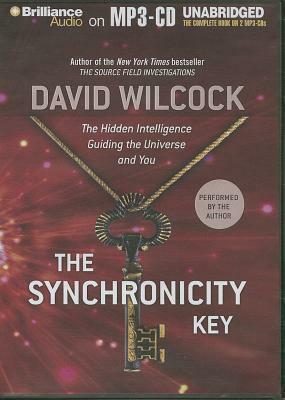 Sign into Goodreads to see if any of your friends have read The Synchronicity Key.